The enumeration of all 'most-perfect' squares of order n = 2r (r > 1) that are pandiagonal magic squares with additional special properties and are defined in Chapter 1, was conjectured by me in 1987 and stated in the 25th Anniversary IMA Bulletin of March 1989. Formal publication of the proof was delayed because extensions of this result for other multiples of 4 were in sight. 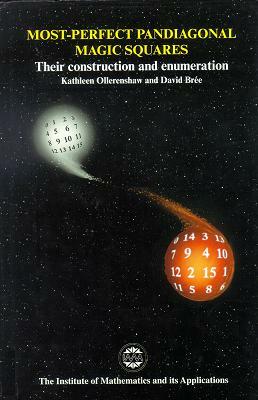 The full enumeration for n = 2rps (p any prime > 2, r > 1, s ≥ 0) that forms the first part of this book was arrived at in 1989 and its existence mentioned in the IMA Bulletin article referred to above. However, the crux of the enumeration (and construction) that is contained in Chapter 4 and on which the result for all most-perfect squares depends had been based merely on intuition and a strict adherence to symmetries and pattern; there had been no attempt to find a rigorous proof. When a serious effort was made to provide proof, the argument became increasingly complex and involved numerous diversions that had their own interest. The full proof thus became unsuitable for publication as an article in a recognized journal and better suited to publication as a book. From the beginning of the search for proof, I have always had the comfort and certainty of an assuredly correct answer. The algebraic 'discoveries' emerging during the course of the work – new to me if not to others – have been a continuing source of elation. My inclination in trying to solve problems of this kind is to follow patterns of behaviour and work from the particular to the general – no basis whatever for dealing with functions that are to extend to infinity, particularly when, as here, the resulting equations are not amenable to the classic method of proof by induction. instead,m the proof of the construction and initial formulae for the enumeration of squares has been arrived at through logical argument At every stage, the central issue has been that of binomial coefficients, typically 'in how many different ways can these particular choices be made form those several possibilities?'. The final formula for the enumeration itself has been deduced, in Chapter 6, by applying the appropriate algebraic identities involving series of binomial coefficients found (usually in different format from my own) in the textbook Concrete Mathematics (Graham, Knuth and Patashnik, 1989).